The Fourth Amendment to the United States Constitution is supposed to protect a person from unreasonable search and seizure by the government. The amendment’s purpose was to make people feel comfortable in their homes and allow them to know that law enforcement could only enter if they possessed a warrant based on sufficient probable cause signed by an impartial magistrate, or if pressing (exigent) circumstances compel them to enter. While the Fourth Amendment is still a fundamental right for American citizens, law enforcement started chipping away at people’s civil liberties after the 1968 case Terry v. Ohio, where the Supreme Court ruled that an officer may detain and search a person if there is mere reasonable suspicion of criminal conduct. 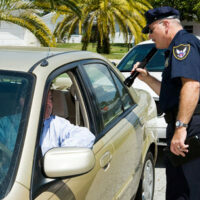 Florida law enforcement officers have taken advantage of this ruling by employing a stop and frisk policy, where a police officer is allowed to temporarily detain a person and ask for identification if the surrounding conditions imply that the person may be involved in criminal activity. State courts have clarified the law and said that officers need to have a founded suspicion before stopping a person — something more than a mere hunch. Although the national rules for stop and frisk mandate that an officer cannot detain a person because of race or religion, everyone knows there are instances where racial bias plays an unfair role in an officer’s decision making. If a person is detained for an unreasonable amount of time or is unfairly searched because of their racial identity, it is crucial that they contact a board certified criminal defense lawyer who can argue these egregious constitutional violations in a court of law. Along with Florida’s stop and frisk policies, there is another law enforcement trend that could potentially violate a person’s Fourth Amendment rights. Local police in Florida are busy collecting DNA from people who are not charged with, or even suspected of, committing a crime. While larger cities usually have public labs that send their samples directly to the FBI database, smaller cities accumulate samples on their own with the help of private labs that offer quick and inexpensive testing. This allows the police to amass large quantities of DNA samples and also helps them keep track of people accused of committing lower-level offenses. Local law enforcement claim that they are accumulating these samples for comparison and are accomplishing this by asking people to submit to samples during routine traffic stops or during chance encounters with on-duty officers. While there is clear precedent, outlined in the Fourth Amendment, saying that law enforcement must have reasonable suspicion that a person is going to commit a crime before requiring any searches or seizures, the idea of consensually collecting DNA samples is a new phenomenon that has not been adequately addressed by the law. For instance, defining who can give consent, and detailing what a person should be told when asked to submit a DNA sample, are two important concepts that the legal system has yet to address in detail. Determining how long local municipalities are allowed to keep these samples is also a debate that has not been resolved. These are some of the major items that the courts will have to wrestle with in the future, and any person who feels that their civil liberties were violated by these practices should retain the services of a board certified attorney who can help them decide on an appropriate course of action. The Fourth Amendment is a fundamental right that helps American citizens know that there are boundaries to what the government can do and where they can go. However, the amendment does not cover every single scenario that may play out over the course of a person’s life. There are times where the law does not accurately address a person’s concerns, and an experienced attorney will have the knowledge to help a person figure out if their rights were violated. If you think you are the victim of an illegal search or seizure, and live in Tampa, Florida or the surrounding area, you should contact the Matassini Law Firm, P.A. and have a consultation with a board certified criminal law trial attorney who can give you some much needed guidance.